The Palm Beach International Equestrian Center (PBIEC) and Equestrian Sport Productions, LLC (ESP) have begun preparations for what is expected to be one of the most expansive Winter Equestrian Festival (WEF) season yet, welcoming top equestrian athletes from around the globe to the venue from Wednesday, January 10, through Sunday, April 1. The 2018 WEF will feature 12 consecutive weeks of elite equestrian competition, hosting eleven FEI weeks and four CSI 5* competitions. The Winter Equestrian Festival has been the pinnacle of equine competition in South Florida for more than four decades, welcoming enthusiasts and athletes annually to contest one of the most competitive shows in the world. This year’s circuit will offer more than $9 million in prize money throughout the duration of the season and will feature many of the world’s top internationally ranked riders who all call Wellington, FL, home during the winter months. 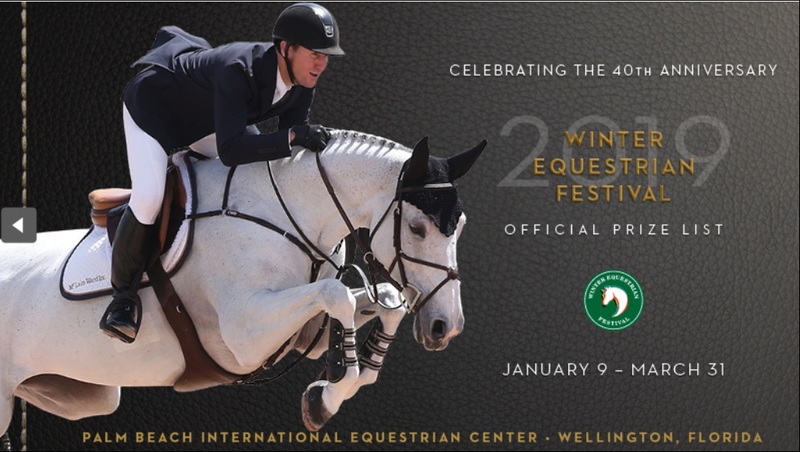 The Palm Beach International Equestrian Center, home of WEF, is open to the public and offers free general admission throughout the season to all events. Competition each week begins on Wednesday morning and continues through Sunday afternoon. The highlight “Saturday Night Lights” competitions, featuring major international Grand Prix competition under the lights in the iconic International Ring, will begin at 7:00 p.m. each Saturday of the circuit. Gates open at 6:00 p.m. for spectators and fans and include carousel rides, face painting, family entertainment and more.